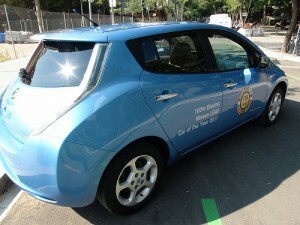 Electric cars are growing in popularity in the UK. Recent government figures show that electric car sales in the UK jumped by 25 per cent in the third quarter of 2013 to a record high. New registrations under the government’s £5,000 grant scheme were at 1,149, the highest number since it started in January 2011. However, the cost of some electric cars has put many buyers off driving an one under a car lease or contract hire agreement. Low residual values for electric cars have made the cost of car leasing expensive in relation to other models. But, this could be about to change as manufacturers begin to lease the batteries separately from the car. Here, we tell you everything you need to know about driving an electric car under a lease or contract hire agreement. In an attempt to tackle the problem of high leasing and contract hire costs, manufacturers are starting to lease the batteries used in electric cars. Consumer magazine Which? reports that this aims to improve the residual values of electric cars and reduce battery ‘range anxieties’ that people may have. One of the problems with electric cars is that dealers have put low ‘residual values’ on these models, expecting them to depreciate fast over the next few years because of likely improvements to the battery life and range of the car. Used car valuation firm Glass’s said the Nissan Leaf, with a purchase cost including the battery, would retain just 35 per cent of its value after three years and 36,000 miles. However, an electric vehicle of similar size with a leased battery should retain 54 per cent of the purchase value over the same period, according to the valuation firm. This makes the cost of car leasing and contract hire significantly cheaper. Thierry Koskas, Renault’s electric vehicle programme boss, said: “The purchase price of EVs with batteries would be too high. By leasing them at around £70 a month we can get the retail price of EVs down to the same level as equivalent petrol or diesel cars with government incentives. While leasing a battery separately offers many benefits, civil liberties have called a new initiative by Renault which allows them to switch off your electric car remotely if you miss a car lease payment ‘chilling’. Buyers of the new Renault Zoe will pay to lease the battery but Renault can send a signal to stop it charging if an instalment is missed or if the car is not returned at the end of a lease. Karsten Gerloff, president of the Free Software Foundation Europe, said: “This data tells the company where you are going, when, and how fast, where you charge the battery, and many other things besides. “If there is a mechanism to remotely control what your car does, some will make use of this mechanism at some point. This entry was posted in Eco Car, Electric Cars and tagged electric car, electric cars, lease the new Nissan leaf, Nissan LEAF, Renault Zoe Batteries, Renault Zoe Electric Car by David Petherick. Bookmark the permalink.